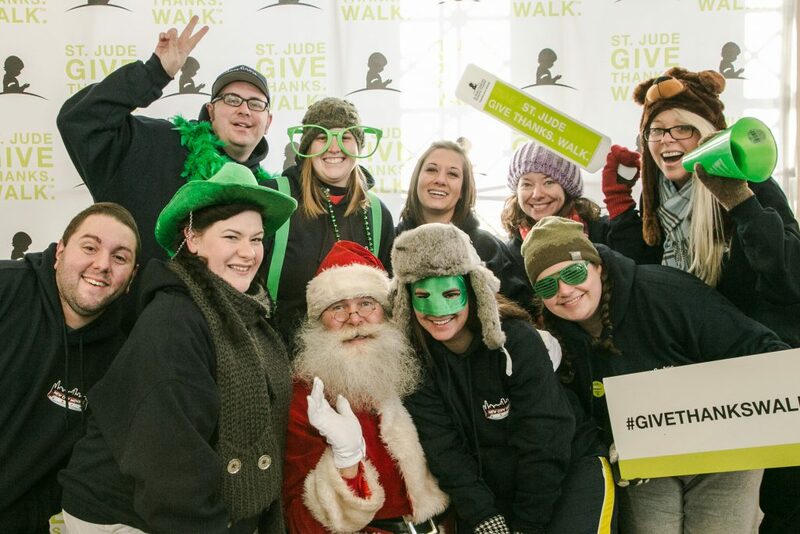 On November 23rd our staff, family, & friends took part in the St. Jude Give Thanks. Walk. at Soldier Field. Charity has always been an important part of New City Moving but this 5K walk was especially important to us. Two year old Blake, the cousin of our Senior Trainer, Melody, was diagnosed this past fall with leukemia. He is currently receiving care from St. Jude’s in Memphis, TN. According to his mother, the entire family has been treated wonderfully and with great care. It is important to all of us that St. Jude’s continue to be able to provide this level of care for Blake and the thousands of children they are able to treat annually. In the United States alone; 18,000 cases of childhood cancer in children under the age of 19 are diagnosed annually.1 St. Jude’s Research Hospital is known for their cutting edge research and breakthroughs in helping to treat and cure catastrophic childhood disease such as cancer and leukemia. Through donations they receive from all over the country they are also able to treat children no matter what their family’s financial situation. They also provide travel, housing, and food to the families while the children are being cared for. Through our personal fundraising efforts we were able to raise over $1,600 for this year’s walk! In addition to making a difference children’s lives and cancer research we also had fun. We warmed up with Zumba during the opening ceremonies, we walked, some of us jogged, we threw footballs, and enjoyed the brisk weather at Soldier Field all while helping St. Jude. We are glad we were able to be a small part of this great event. Everyone who participated left with a big smile on their face and a promise to participate again next year. So keep an eye out for the New City Moving Team at 2014’s walk!